According to a report at Space Weather. Newly-released measurements by high-altitude balloons show that cosmic rays in Earth’s atmosphere are intensifying. The ongoing increase, which has been tracked since early 2015, will likely accelerate in the months and years ahead as the solar cycle swings away from Solar Max. This result is of interest to everyone from mountain climbers and air travelers to operators of high-altitude drones. And I might add Climatologist may also be interested. In his book The Chilling Stars, Henrik Svensmark at the Danish National Space Center, proposed a brilliant and daring new theory that cosmic rays increase cloud cover, thus reducing global temperatures as cosmic rays intensity. Or, the lack cosmic rays promotes less cloud cover resulting in increased global temperatures. There is not total agreement with Svensmark’s theory among many climatologists, however, we may now have an opportunity to observe declining global temperatures as the cosmic ray intensity increases. Or, the lack of a decline in temperatures. However, we are currently seeing a slight decline. This decline could accelerate over time as the cosmic rays continue to increase. Or not. Stay Tuned. My problem with the Svensmark’s theory is that clouds have actually two effects. Clouds can suppress both daytime highs (by reflecting sunlight back to space) and nighttime lows (by trapping radiated heat). This means that temperature band is smaller. I knew already as a boy that a clear sky in a winter night means frost. Walking trough the snow in the morning created a crackling sound. Clouds in the winter time creates a warming effect like a blanket. Clouds in the summer time on the other hand means that this creates a cooling effect but this will be compensated by the seasons. Over they year it will be somewhat balanced. juergenuie -you hit the nail on the head; what I have being saying for 4 years. In cloudy – days are a bit cooler, but nights are a bit warmer – because the difference in temp between the ground and up is less = cooling slows. Oveal is same temp; but because they take only the hottest minute in 24h and ignore the other 1439 minutes, it deceives. CO2 has exactly the same effect as WV, only much less, for simple reason is that co2 is much less than water vapor. Bottom line: CO2 + H2O are not a greenhouse gases, BUT they give ”shade cloth effect” as a shock absorber; cooler days but warmer nights, as you said, in clear sky is opposite – but if you calculate the temperature for every minute in 24h, it’s same temp overall in both cases = problem solved, co2 is not a greenhouse gas!!! The so called green movement is forcing us to rely on wind and sun energy, which we know are unreliable. Europe is going down this path by increasing the dependency on wind and solar energy more and more. I wait for a cold winter night without wind in the near future, which will create a total blackout. I’m sure they will try to blame CO2 but more people could wake up. Considering that we (most likely) go into another little ice age the disaster would be catastrophic. We could be already at the start of the little ice age, as North America and Asia experience unusual cold and snow in places where the had never or not for a long time seen it that bad. Example North Vietnam: The cold has also lead to myriad livestock deaths in Cao Bang, Quang Ninh, Ha Giang, Hoa Binh, Bac Giang, Bac Kan, and Lang Son..In Ha Giang, 150 hectares of vegetables, including lettuces, beans and potatoes, were severely damaged by the frigid weather. Which event could wake up people quicker? Blackouts or little ice age? Whilst your observations are correct in the main, general entropic principles would imply that energy would always ‘find a way out’ somewhere. To counterbalance this, incoming energy must exceed the overall loss. The question is, given the cloud blanket, whether there will be sufficient on the input side of the equation to overcome the loss. Under normal circumstances, input driven energy levels rise – and with it radiant output – until a point is reached where balance occurs; a bit like a boiling kettle or a light bulb. We can only wait to see if the new balance point is higher or lower than that which exists today. I guess you are right with this “wait and see”. So far there are so many theories (guesses) created and NO proof could be found. The Svensmark’s theory is as I understand correct in relation to the cloud creation but would this make a real change in the climate. I say “less likely”. The no-fly situation after 9/11 (missing contrails) showed, if it is a real proof, a change in the temperature but only that the temperature range was narrowed and not in the average temperature. I’m using your “boiling kettle” in such a way that it will get more heat and less heat in relation to the solar cycle. Even though the sun spots go close to zero at the end of every cycle the impact is not really seen. However, if a whole cycle is either higher or lower, than you can see a change in the overall temperature. Just look at solar cycle 20 that was much lower then the cycle 19. We had a “ice age” scare but cycle 21 went high er again and the scare was over. If you reduce the heat for your kettle for a short time the change is minimal but if you do this for longer the drop in the temperature is clear. 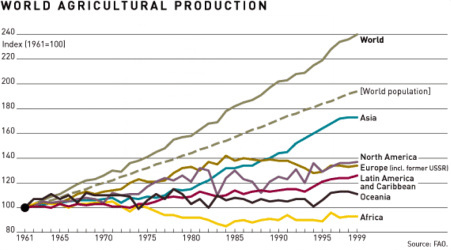 Considering that the cloud formation in the time of the solar cycle 20 must have been much more, but the world agriculture production doesn’t show a major reduction. I understand that you are skeptic about it, but the difference between a localized heat wave and a cold spell has to be considered. A heat wave for an area can take place withing a limited size of space. The heat of the sun is standing still in a wind less weather situation. A cold snap, like the one in Vietnam has actually something to do wit the jet stream that allowed the cold air from the north travel far south. You can see that the land mass that is direct connected to the Arctic gets the cold and it depends on the jet stream how far it goes. The so called polar vortex is just the effect created by the jet stream and the cold air got as far south as New Mexico/Mexico. If seen snow on the web cam of Santa Fe. Anyway. I remember the 70s and we had a similar condition like now and the solar cycle 20 was even a bit higher then the solar cycle right now. The ice core data shows that way over 90% of the time the temperature was lower than today. The planet is actually an ice planet with warming cycles here and there. We have not REAL data about the past, as everything is proxy data. Therefore, we don’t know how an ice age starts. On the other hand, we know the ice ages, big and small, come again and again. Maybe Vietnam, Kuwait and other odd place are a taste of what could come. I know the AGW believer claiming everything in relation to CO2 and just because of the CO2 measurements of Mauna Loa. This Mauna Loa graph appeared first in the book “Limits to Growth (1972)”, which was published by the Club of Rome. The Club of Rome was founded in 1968 at David Rockefeller’s estate in Bellagio, Italy. Just look up Rockefeller and climate change. It’s the elite and their power. Svensmark’s “cosmoclimatology” is solid; there’s a 6C peak to peak swing of surface ocean temperatures matched by a GCR signal over geologic time scales, which nicely averages out daily/yearly/millenially fluctuations and leaves the GCR signal from stars which are closer when our Sun is within a spiral arm of our Milky Way galaxy and much further away from other stars when we’re between spiral arms. If you want to experience just how much low clouds affect temps by reflecting away incident sunlight, get in a small plane with an instrument rated pilot to take off and climb from a winter Tule Fog episode in the Central Valley in California. Bone chilling cold on the ground but climb a thousand feet or so to get into the bright sunlight and it’s almost hot. The IPCC feedback mechanism assumes any additional heat will cause more surface water to evaporate but the increased humidity won’t increase clouds, just add more water as a greenhouse gas. Right. I would like Svensmark to be proved right but I think it is a little premature to make such claims from the data you have put forward. I don’t know why we have to choose a certain year to start with. I think the highest point is quite relevant, like the peak of a mountain. Even Hadcrut3 had the highest point in 1998 and since then it didn’t not go higher. For the AGW believer, the CO2 increase measured on Mauna Loa from 1998 to 2015 (37.73 ppm) is more or less the same as from 1973 to 1997 (36.32 ppm). This means that the CO2 increase in the last 18 years are the same as the previous 25 years. Q: How can roughly 37 ppm CO2 in one time frame increase the temperature and in the othe time frame not? The overall increase in the industrial age is about 120 ppm CO2 and the 37 ppm CO2 are about 30% of it. On the other hand, the 37 ppm CO2 are about 40% of the Keeling data set from Mauna Loa. If I use Hadcrut3 or Hadcrut4 to see if Svensmark theory could be right, I can see a quite active sun in solar cycle 18 but both Hadcrut data’s show a lower temperature then at the peak in the 1940’s. Sometimes if fits and other times not. Clouds are relevant but not as much as Svensmark thinks. The activity of the sun affects the cosmic rays that hit the earth. According to some astrophysicist this has an affect on the jet stream that brings cold air down south and warm air up north. That’s why we had this year snow and freezing temperature even as low as 18.5 N latitude (300 km south of Hanoi). First time in recorded history. Keep in mind while cloud cover holds overnight mins up, it does assist cold air from the north to move south. Generally an ice pack can stick around for longer under cloudy skies than under sunshine…regardless of how low the overnight mins go. If the daytime temperatures go high enough it will melt. If Svensmark is correct the increase in cosmic rays may be a result of the lower activity of the sun so we have a double whammy, less warmth from the sun, more rain fall, so the deserts green. No problem with that part as long as the North pole does not advance southward in its ice cover. The difference between Man Made Global Warming (MMGW) and Svensmark is that geological data supports it. MMGW is just a 100 years of data using manipulated information and computer programs that fails to consider the sun as a variable. There was a 5 and 10 chance it would be warmer today than 100 years ago. On the other hand, either there was a gazillion to one chance that 100% reliable temperature record proxies (think polar bears living at the equator – it doesn’t happen because they can’t) have shown an absolute near perfect fit of temp to cosmic rays. It is only true to say that more research has to be done to understand the mechanisms that cause this. If we stop breathing air – we die. We know why this is. But, we do not fully understand the why of Svensmark. Otherwise the findings of Svensmark are scientifically proven. There is near zero statistical chance it is not true.